The Doctor's finally snapped! It's like a gorier version of Six strangling Peri in The Twin Dilemma. 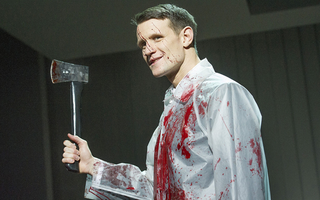 There's a few more pictures of Matt Smith's début as Patrick Bateman in American Psycho: The Musical over at Buzzfeed.